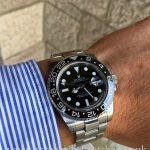 Rolex GMT-Master II. 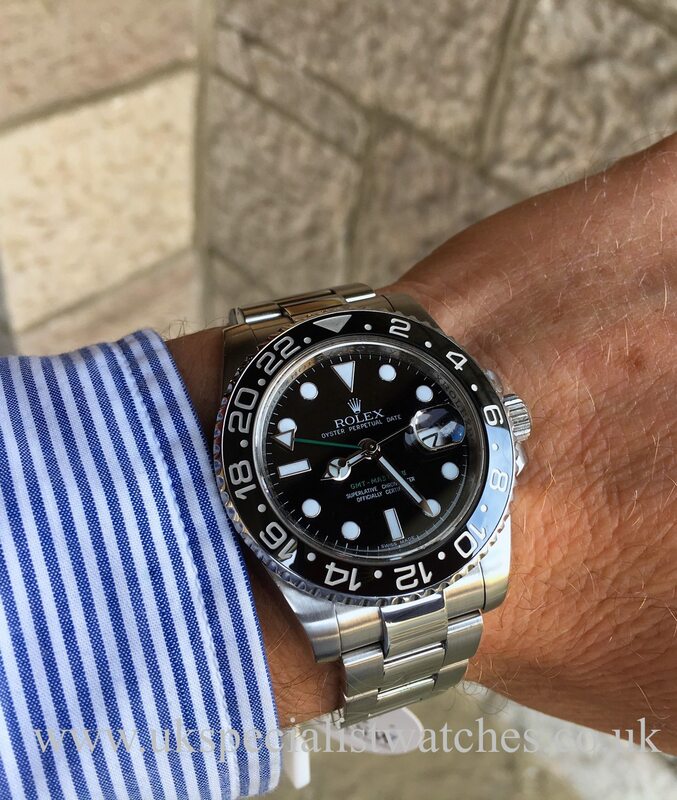 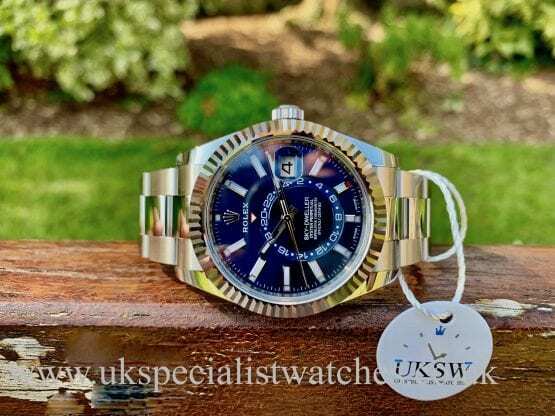 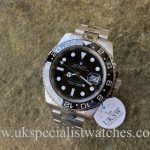 This new model was introduced in 2007 and has had quite a few changes compared to the older model including the upgraded luminous maxi dial, a much thicker beefier stainless steel 40mm case, not forgetting the scratchproof Cerachrom bezel! 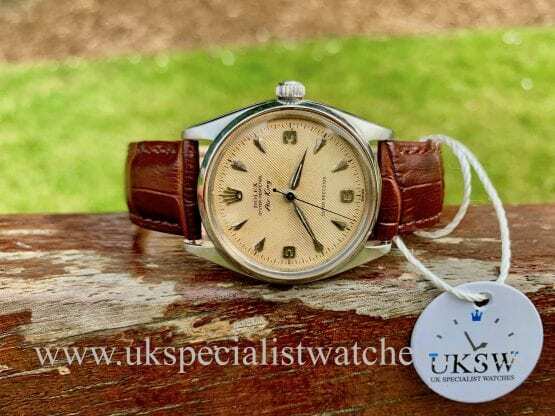 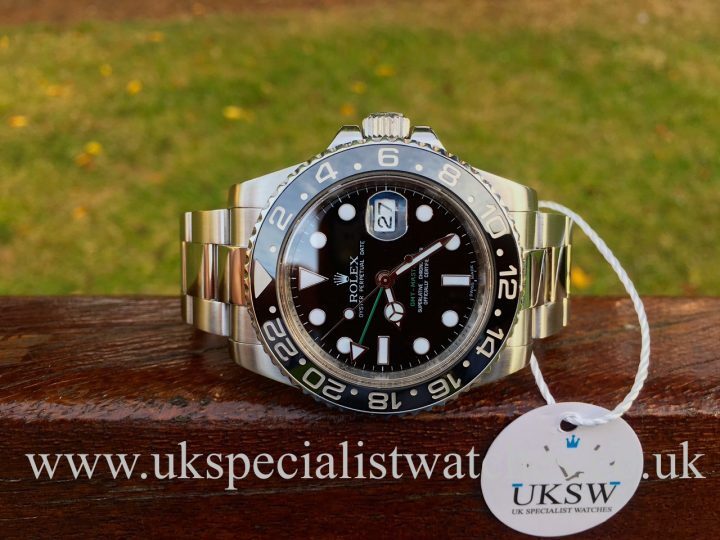 Powered by Rolex’s chronometer calibre 3186 movement. 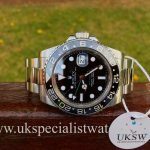 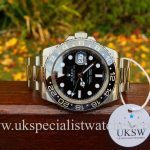 Also has the latest style Oyster bracelet with highly polished centre links and the new style clasp with comfort extension link. 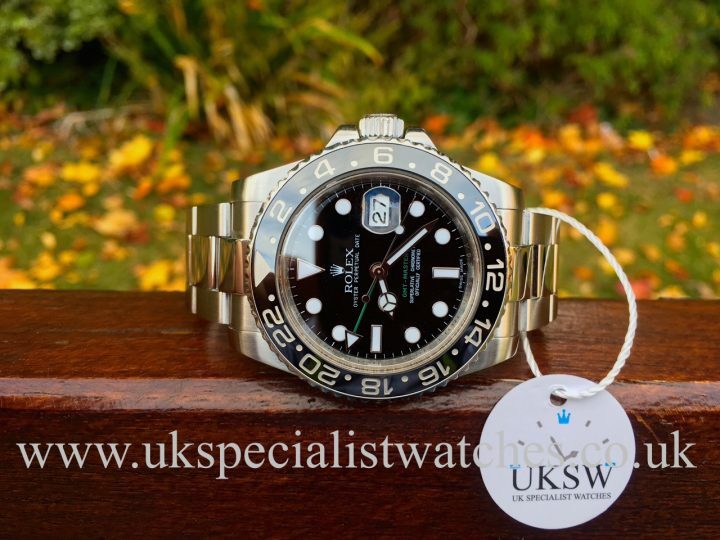 UK supplied November 2011. 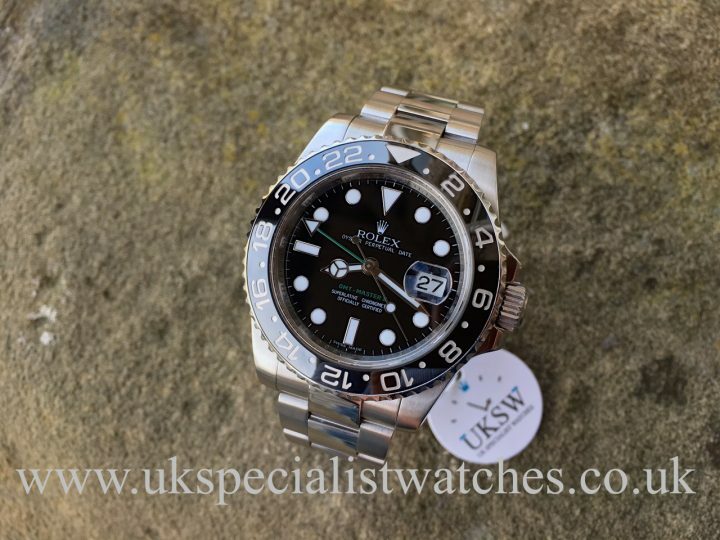 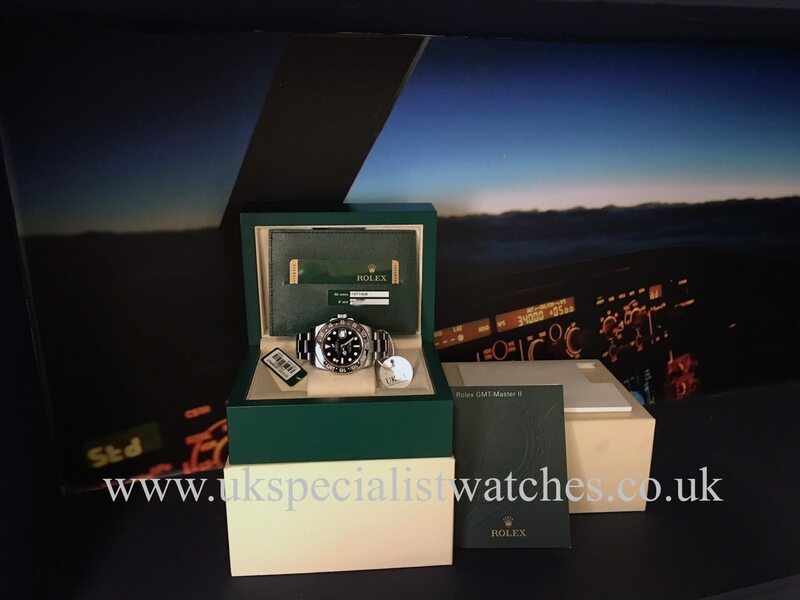 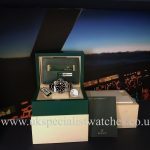 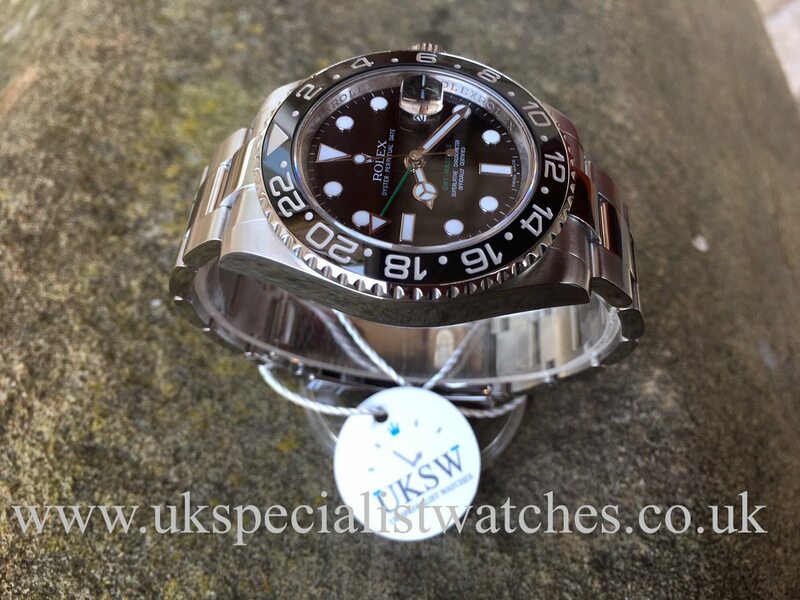 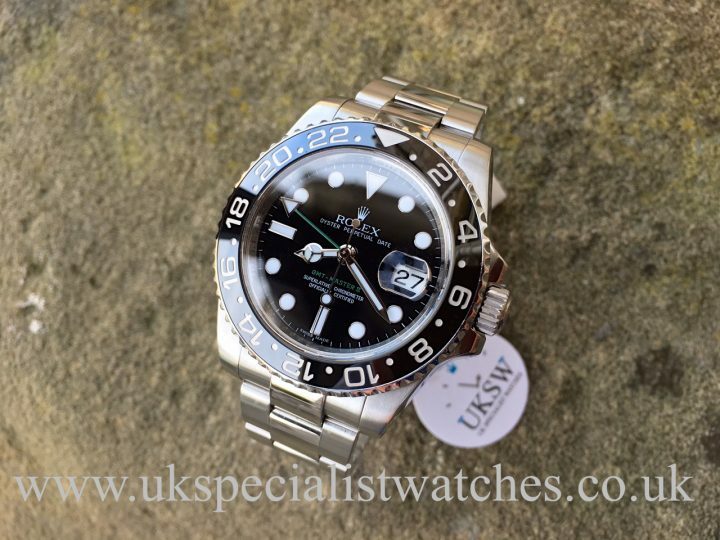 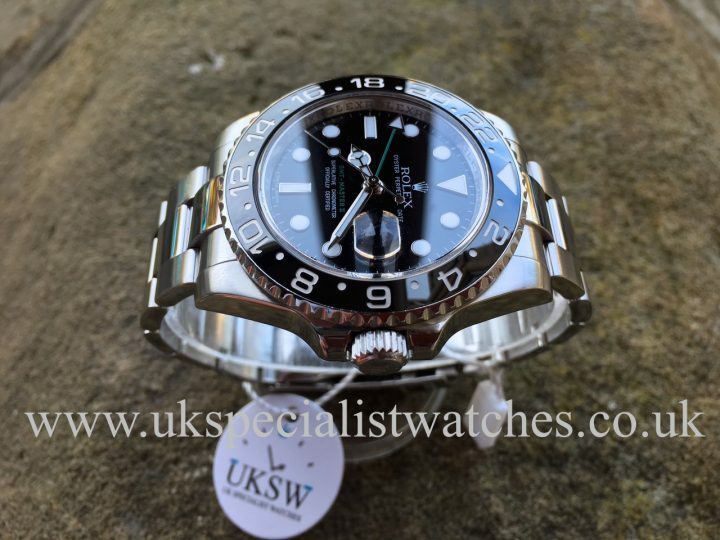 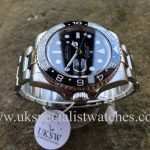 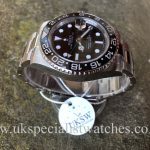 Comes with box, new style stamped warranty card, green wallet GMT Booklet, serial swing tag. 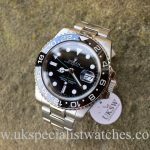 This model is now DISCONTINUED making it a great investment opportunity!